The decision has been made! Research is underway! 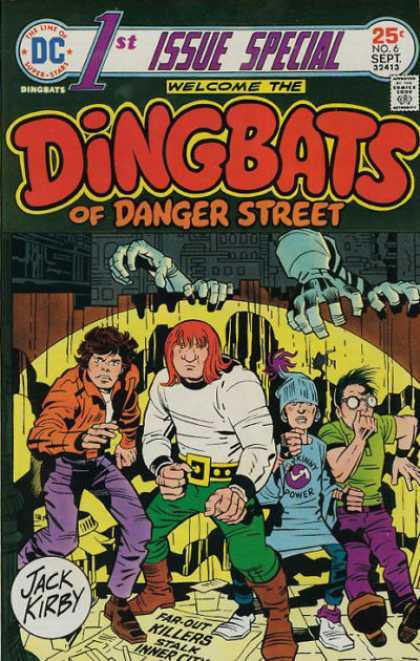 My next "Incidental Iconography" column for Jack Kirby Collector #56 will take on The Dingbats of Danger Street! 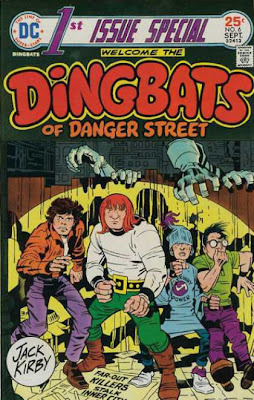 They debuted in 1st Issue Special #6 back in 1975, and have only been seen twice since. And only minor cameos at that. 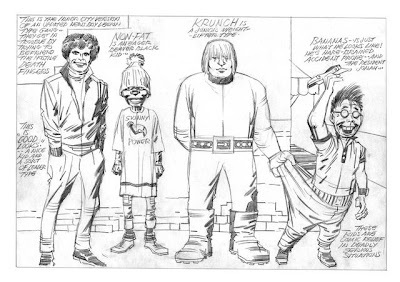 From the preliminary research I've done so far, it appears the Kirby had actually drawn these guys more times in unpublished stories than everything that everybody -- Kirby himself included! -- has collectively done with them in print! You're going to tell me there's NOT a story there? Jack Kirby Collector #56 should be out in late February.